Is mining Bitcoin or any other digital currencies still profitable? It’s a question many are asking, but the answer may vary depending on the person. Digital currency mining has proven to be extremely popular over the last years, as it has been an easy way to earn “free” money and allowed people to accumulate their cryptocurrency portfolio. “Mining” is the term used for creating new digital coins. Each miner will be part of an online mining pool, and together they will solve mathematical algorithms that authorize transactions and yield the rewards of new coins of the respective currency (e.g. Bitcoin, Litecoin, and so on). In order to measure the power of one’s mining capabilities, people call it “hashing power, ” which is in the number of calculations done per second. The more hashing power one has, the more digital currency they can earn. Sounds easy, right? Well, it used to be something not many people participated in, and you could use the processors in your laptop or PC at home to mine. In order to have more power, users started using their GPU (Graphic Processing Unit), also better known as graphics cards. Graphics cards are normally used to sharpen graphics, but as graphics on games are based on mathematical calculations, this proved to be an effective tool to solve the numerical algorithms of currencies, such as Bitcoin. Nowadays, there are specialized devices called ASICs (Application Specific Integrated Circuits). These have proven to be extremely popular, and in the recent months, they have sharply increased in price! 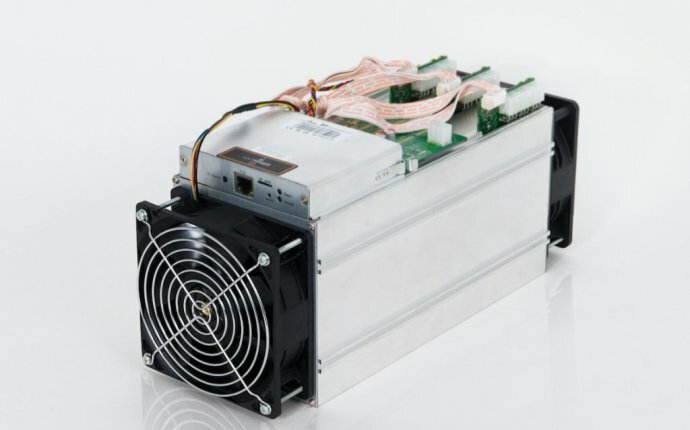 A popular ASIC is the Antminer. There are numerous models with different levels of hashing power, and if you are considering buying one or more, calculate the amount of energy required, as electricity costs are a major factor when it comes to digital mining. Prices can vary from 0-00+ depending on the amount of power you need. Any serious mining will in no doubt be done with specialized ASICs in thermally regulated conditions and with affordable electricity. This is why places like China and Iceland, which have renewable energy, are hotspots for mining Bitcoin and other cryptocurrencies. There are dedicated businesses that own vast warehouses full of mining hardware. To keep electricity costs to a minimum, the machines must be maintained and kept as cool as possible at all times. With vast amounts of hashing power, the competition has squeezed out the little guy, making it almost impossible for people from home to make a profit from mining popular cryptocurrencies. The image to the right is of mining hardware in a warehouse, notice the huge fans on the back of each of them! To combat the difficulty of mining Bitcoin and other currencies, miners can work together and combine their hashing power to solve algorithms more quickly. Each miner gets a share of the rewards based on their hashing power – the more powerful your hardware, the larger the share you can take. There are thousands of mining pools all around the world, and people from all around the world can join and add their hashing power to the pool. The amount of power generated by the larger mining pools is quite impressive. In order to make considerable profit from mining, a costly investment is needed for the hardware. The running costs, such as electricity, can also be more expensive than any profit made, as the amount of energy used is considerable. Miners also need to try to keep their machines as cool as possible, which can be a costly endeavour. As a result, cloud mining has become popular. It’s an easy way to gain more cryptocurrency, but it has an element of risk, as the cloud mining industry is riddled with scams. If you want to know more, check out my article on cloud mining here to get a good understanding of it. Hobby mining can still be good fun, and it may even be profitable if you have free or cheap electricity and effective mining hardware. Some miners don’t mine Bitcoin simply because of the difficulty, and instead mine alternative coins, which are easier to mine due to the software being more advanced, being more economical on energy costs, or having less competition from other miners.